The Scotch whisky industry has strengthened its commitment to cut down on greenhouse gas emissions and water use by setting more ‘challenging’ environmental targets. 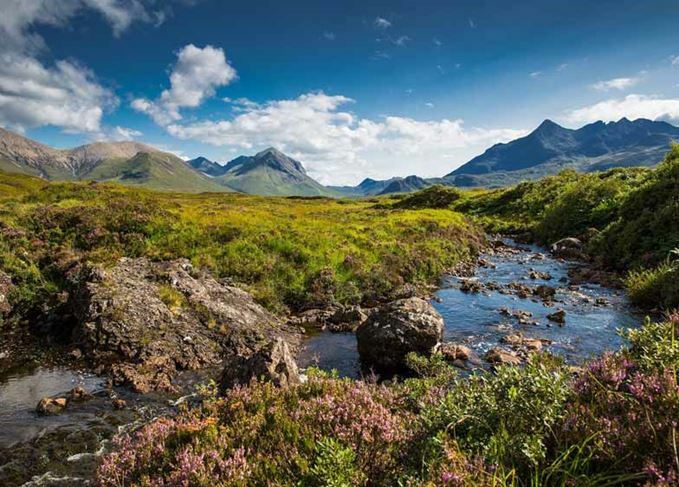 First announced in 2009, the updated Scotch Whisky Environmental Strategy is now ‘even more ambitious’, according to the Scotch Whisky Association (SWA), and has been extended to keep up with global developments and changing business operations. It centres on four key themes with voluntary targets for the industry by 2020 and 2050. These include reducing energy use and greenhouse gas emissions, with a goal that, by 2050, 80% of primary energy will be sourced from non-fossil fuels, such as anaerobic digestion and solar power – a reduction of 170,000 tonnes of greenhouse gas emissions. In 2008, before the strategy launched, only 3% of primary energy came from renewable energy sources, rising to 17% by 2014. Efforts such as this across the Scotch industry have been highly praised by the Scottish Environment Protection Agency (Sepa) in the past. Julie Hesketh-Laird, SWA deputy chief executive, said: ‘Sound environmental management is an industry priority and goes hand-in-hand with business growth. ‘Our strategy is collective, building on the work of individual Scotch whisky producers. And strong support from governments and our supply chains will be needed to help deliver on our ambitions. Other themes include responsible water usage, with a target to improve distilling water efficiency by 10% by 2020. Net water use has already been reduced by 14% between 2009 and 2014. Creating a ‘circular economy’ within the industry supply chain is also a focus, encouraging companies to use resources for as long as possible, recovering and regenerating materials to maximum effect. By 2020, the aim is to ensure that no general waste goes to landfill (this figure stood at 13% in 2008 and was cut to 2% in 2014), and that product packaging will be 100% recyclable. In 2008, 97% of packaging was recyclable, rising to 98% between 2009 and 2014. The fourth theme is based on sustainable land use, mainly optimising supplies of high-quality raw materials – particularly cereals and wood, including sourcing wood for casks from sustainable oak forests. These endeavours are forecast to reduce water use by 1.1bn litres and cut landfill waste by 4,400 tonnes by 2020, although only last year seven distilleries were criticised by Sepa for failing to adhere to pollution guidelines. The alliance recognises the new wave of whisky distilleries contributing to the category’s success. The legal breakthrough means consumers and producers will be better protected against fakes. Karen Betts joins from the British FCO, where she was previously British ambassador to Morocco. Scotch producers claim government figures show ‘fairer’ taxes generate more revenue for economy.